INCA Members are the third force in UK digital infrastructure. They are investing heavily in building new networks to extend their reach rapidly, pass more homes than ever before and help build Gigabit Britain. Current build plans aim to reach 5 million premises by 2021: that's just under 20% of all UK homes and businesses. The government too is investing heavily with £800m through the new DIIF initiative, the continuing £400m of BDUK/Local Authority funding plus £740m for full fibre/5G projects. That's nearly £2 billion of public funding over the next four years in addition to the billions already planned by network investors. A significant tranche of this funding is aimed at extending network reach to underserved communities whether rural or city centres – and that is the sector where INCA Members are most active and leading the way. INCA Members will be using their significant share of this funding to build new networks using the latest services and technologies available to reach millions of new homes. The INCA Procurement Platform is the ideal shop window for telecoms network vendors to access this growing multi-million-pound demand. Why is INCA doing this? First and foremost, INCA exists to support its members. The Procurement Platform makes members' lives easier as a one-stop shop for anything you might need to build or upgrade your networks. Not just the latest products and equipment, but also the help and advice to choose the right solutions and design the networks as efficiently, quickly and at the best price possible. Your existing Vendors and Distributors will be on the system so your current commercial relationships continue. It gives you everything you have now and more – in one place. It's a sophisticated and easy to use system that offers the granularity of per-premise equipment ordering right through to billing by project. And it's fully compliant with the Public Contracts Regulations (PCR 2015) so anyone purchasing for public network projects will find this makes their life a lot easier when invoicing. I'm a Vendor - why should I join? Reach: Widen your market to all INCA Members quickly and easily - once you are on the platform, all Members can browse your range. It's a great way for you to promote your offer to new customers. Efficiency: The platform lets you manage multiple relationships through a single interface with sophisticated reporting by customer or even by project. Does this cut out our Distributors? No - they can join the platform themselves and list the products and services they carry. A small margin is charged to vendors to reflect the aggregated volume of business transacted through the platform. Vendors set the pricing as they wish. In future, it will be possible to set pricing per customer. I'm a Buyer - why should I join? Widest source of specialist vendors and distributors means you'll have access to everything you might need for your network build. Design Services and advice also available means you'll never be short of ways to deploy the latest equipment in new build and retrofit for the best return on your network build dollar. Helps you monitor your network rollout cost per project, per node and per premise. PCR 2015 compliance will smooth your invoices to – and payment from – public procurements. Simply fill in the Account Application Form to indicate your interest in joining the pilot. In addition to the Account Form, we'll need an export from your product database to populate the system and there's a Letter of Engagement with Terms of Business. What are the commercial relationships? They remain exactly as they are now - between Purchaser and Vendor. And if you find a new product, service or customer then you simply do business as normal - just via the platform. In addition, Vendors have an agreement with the platform provider, as does INCA. The Platform is currently in pilot and will go fully live soon. Building the best marketplace for INCA Buyers and Vendors is just the start. The roadmap includes just about every aspect of building networks from core to local access and end-user acquisition plus the expertise, design and support to help altnets of all sizes invest in their networks for better returns. Over time, the INCA Procurement Platform will become an essential resource for network builders in the UK. Complete and submit the Account Application Form. We will send your designated IT / Product Database person the Product & Service upload template and contact them to walk them through the process. We will set up your Users and advise login details. On receipt of the completed template, we will upload it and advise you so you can check it. We will walk your Users through the Platform operation via an online demo. That's it - your products and services are online for INCA Buyers! We will set up your Users and advise you of the login details. That's it - you can now browse and order a wide range of products and services from the best specialist Vendors for the altnet sector! To discuss any aspect of the INCA Procurement Platform or the Joining process, please contact Mike Locke mike.locke@inca.coop 07767 248688. 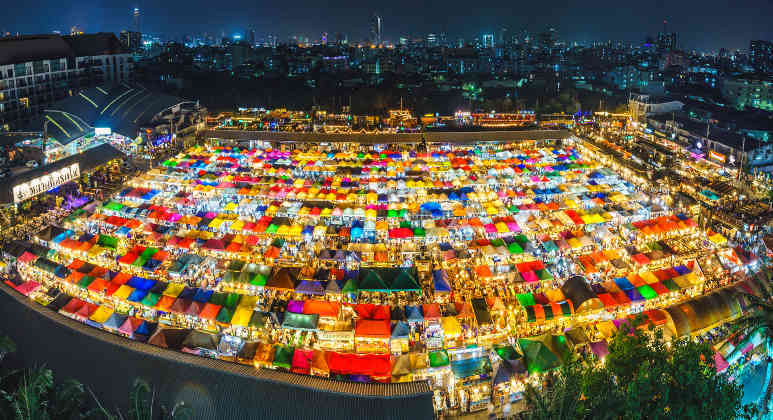 Photo credit: A night market in Bangkok by aotaro under a Creative Commons licence.